Do some cultural sightseeing at Ecological Sanctuary and Santa Elena Skywalk. 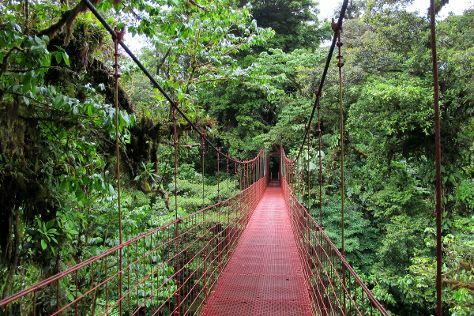 Step out of the city life by going to Monteverde Cloud Forest Biological Reserve and Zipline. Next up on the itinerary: stop by Hummingbird Gallery, stroll through The Bat Jungle, identify plant and animal life at Reserva Bosque Nuboso Santa Elena, and view the masterpieces at Art House. For ratings, traveler tips, more things to do, and other tourist information, read our Monteverde online driving holiday planner . London, UK to Monteverde is an approximately 15.5-hour combination of flight and taxi. You can also do a combination of flight and car; or do a combination of flight and bus. The time zone difference when traveling from London to Monteverde is minus 6 hours. Finish up your sightseeing early on the 30th (Tue) so you can go by car to La Fortuna de San Carlos. Visiting Tabacon Hot Springs and River Rafting & Tubing will get you outdoors. Take a break from La Fortuna de San Carlos with a short trip to Butterfly Conservatory in El Castillo, about 42 minutes away. The adventure continues: stop by Souvenir Leo, trot along with a tour on horseback, take a memorable tour with Tours, and stroll through Cerro Chato ANC Park & Gardens. To see maps, where to stay, ratings, and more tourist information, use the La Fortuna de San Carlos tour itinerary planner. Traveling by car from Monteverde to La Fortuna de San Carlos takes 3 hours. Alternatively, you can take a shuttle. Finish your sightseeing early on the 7th (Wed) so you can travel to Manuel Antonio. 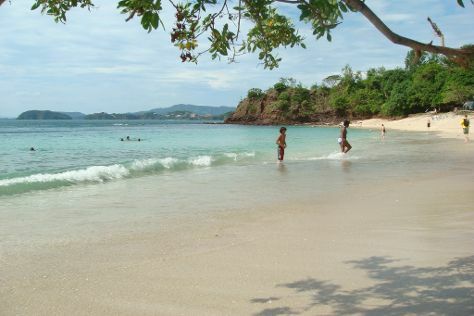 We've included these beaches for you: Playa Manuel Antonio and Playa Biesanz. For shopping fun, head to Beso Loco Boutique de Playa or Super Joseth. Step out of Manuel Antonio to go to Quepos and see Playa Matapalo, which is approximately 46 minutes away. Spend the 12th (Mon) exploring nature at Manuel Antonio National Park. There's still lots to do: experience rural life at Villa Vanilla / Rainforest Spices, take in the exciting artwork at The Captain's Booty, let the river carry you with a rafting and tubing tour, and look for gifts at Jaime Peligro Book & CD Shop. To find photos, other places to visit, more things to do, and tourist information, go to the Manuel Antonio itinerary planner. You can do a combination of taxi and flight from La Fortuna de San Carlos to Manuel Antonio in 1.5 hours. Alternatively, you can drive; or take a shuttle. Wrap up your sightseeing by early afternoon on the 13th (Tue) to allow enough time to ride a ferry to Santa Teresa. On the 14th (Wed), enjoy the sand and surf at Playa Hermosa, then tour the pleasant surroundings at Playa Carmen, and then look for gifts at Tica Surf Bikinis. Get ready for a full day of sightseeing on the next day: tour the pleasant surroundings at Playa Santa Teresa. To see more things to do, reviews, ratings, and tourist information, refer to the Santa Teresa online day trip planner . Getting from Manuel Antonio to Santa Teresa by ferry takes about 4 hours. Other options: drive. On the 15th (Thu), wrap the sightseeing up by early afternoon so you can drive to Playa Conchal. On the 16th (Fri), explore and take pictures at Kingpin Sportfishing, look for gifts at Lydia Beech Art, and then kick back and relax at Tamarindo Beach. On your second day here, kick back and relax at Playa Conchal and then enjoy the sand and surf at Playa Avellana. To find photos, other places to visit, more things to do, and other tourist information, go to the Playa Conchal trip itinerary planner. Traveling by car from Santa Teresa to Playa Conchal takes 3.5 hours. Alternatively, you can do a combination of taxi and bus. Finish your sightseeing early on the 18th (Sun) so you can travel to Cartago. Cartago is a city in Costa Rica, about 25km east of the capital, San José. On the 18th (Sun), take in nature's colorful creations at Jardin Botanico Lankester and then steep yourself in history at Our Lady of the Angels Basilica (Basilica de Nuestra Senora de Los Angeles). On the 19th (Mon), you'll have a packed day of sightseeing: explore the ancient world of Guayabo National Park and Monument. To see more things to do, traveler tips, reviews, and more tourist information, use the Cartago trip planner . Traveling by combination of taxi and flight from Playa Conchal to Cartago takes 4.5 hours. Alternatively, you can drive; or do a combination of bus and taxi. In November, daytime highs in Cartago are 30°C, while nighttime lows are 22°C. Finish up your sightseeing early on the 20th (Tue) so you can go by car to Puerto Viejo de Talamanca. You'll enjoy a bit of beach vacationing at Puerto Viejo Beach and Punta Uva Beach. Get outdoors at Cahuita National Park and Nature Observatorio. The adventure continues: admire the natural beauty at Finca La Isla. For maps and tourist information, read our Puerto Viejo de Talamanca trip planner . Traveling by car from Cartago to Puerto Viejo de Talamanca takes 3.5 hours. Alternatively, you can do a combination of taxi and bus. Wrap up your sightseeing on the 24th (Sat) early enough to take a shuttle to Tortuguero. Start off your visit on the 24th (Sat): see the interesting displays at Sea Turtle Conservancy. Here are some ideas for day two: identify plant and animal life at Tortuguero National Park. Before you visit Tortuguero, use our trip planner to discover what you can do and see there. You can take a shuttle from Puerto Viejo de Talamanca to Tortuguero in 5 hours. Alternatively, you can do a combination of bus and shuttle. 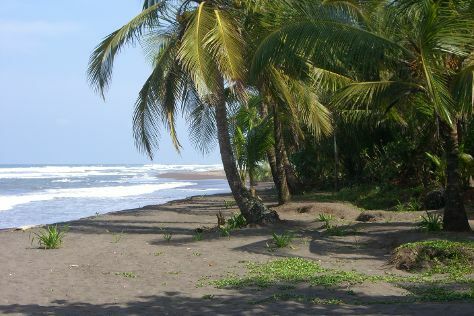 In November, daily temperatures in Tortuguero can reach 34°C, while at night they dip to 26°C. Cap off your sightseeing on the 26th (Mon) early enough to catch the shuttle to San Jose. National Museum (Museo Nacional) and Galeria Namu will appeal to museum buffs. 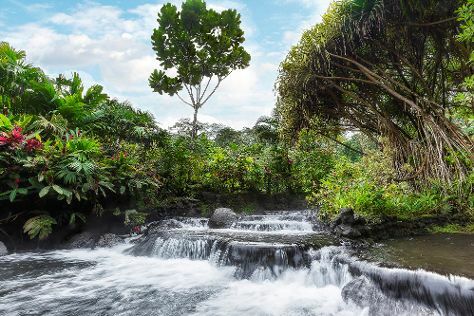 Get outdoors at La Paz Waterfall Gardens and Poas Volcano. Step out of San Jose to go to Sarchi and see Fabrica de Carretas Eloy Alfaro, which is approximately 54 minutes away. The adventure continues: explore the world behind art at Precolumbian Gold Museum, make a trip to Plaza Juan Mora Fernandez, stop by Chieton Moren, and get engrossed in the history at Jade Museum. To see reviews, maps, ratings, and more tourist information, refer to the San Jose trip planner . Traveling by shuttle from Tortuguero to San Jose takes 3.5 hours. Plan for little chillier temperatures traveling from Tortuguero in November, with highs in San Jose at 30°C and lows at 22°C. Cap off your sightseeing on the 29th (Thu) early enough to travel back home.